Eventually, we keep telling ourselves, the entire cooling system will be new. 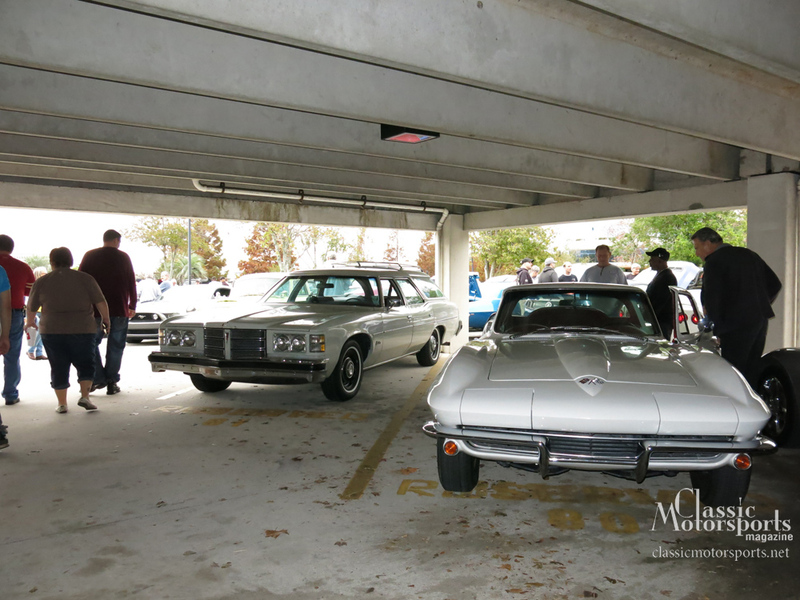 That morning started nicely, as we cruised up to Jacksonville for their nicely subscribed Cars & Coffee. While there, we enjoyed the surfy sounds of The Crowkeepers. 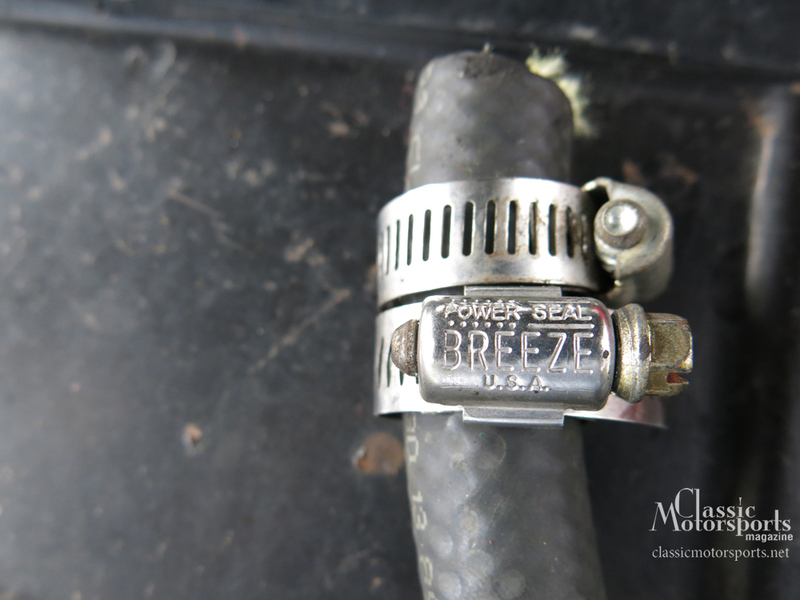 A hose let go as we pulled into the driveway upon returning home. 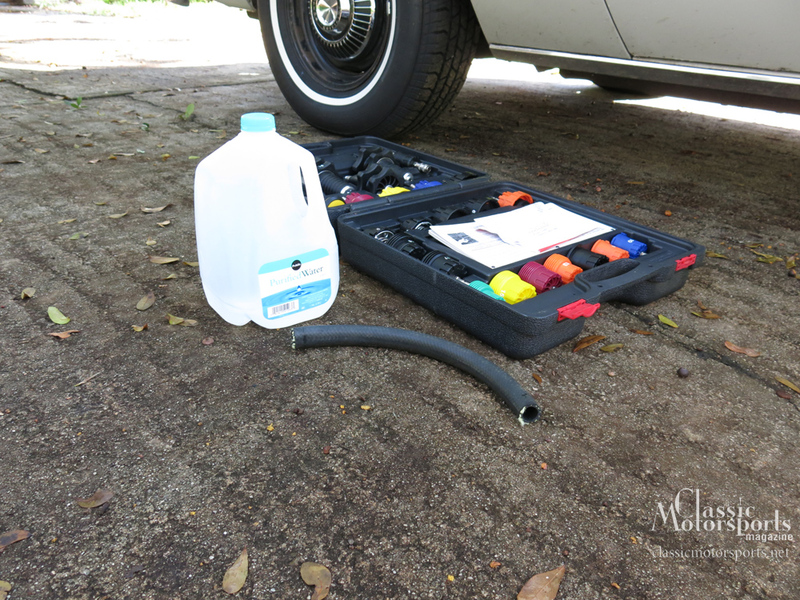 Our initial repair was simple, only involving a foot of hose, a gallon of water, and a loaner coolant system pressurizer. We even retained the American-made clamps. Old cars are simply older than new cars and, as such, sometimes they break. If it’s any consolation, in the past we’ve been stranded by brand-new cars as well. 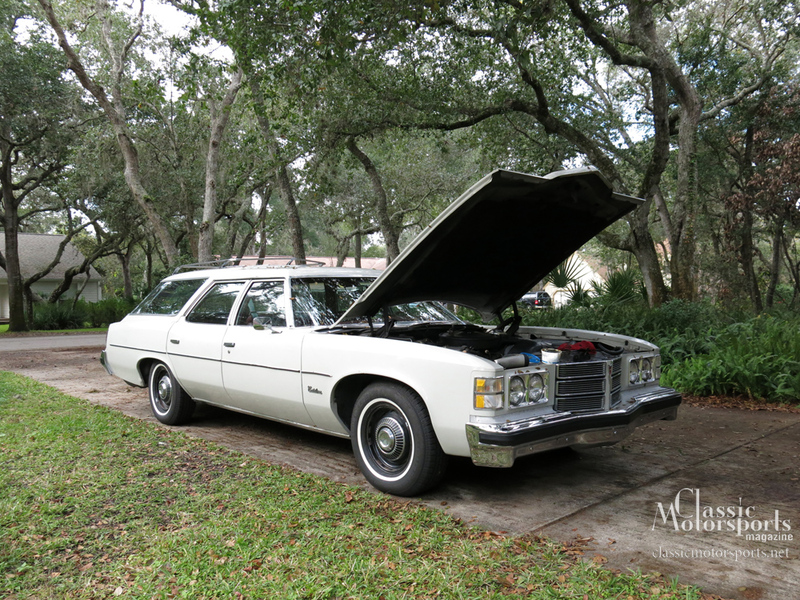 Our 1975 Pontiac Catalina Safari recently broke. First, we must add, the timing was pretty good. 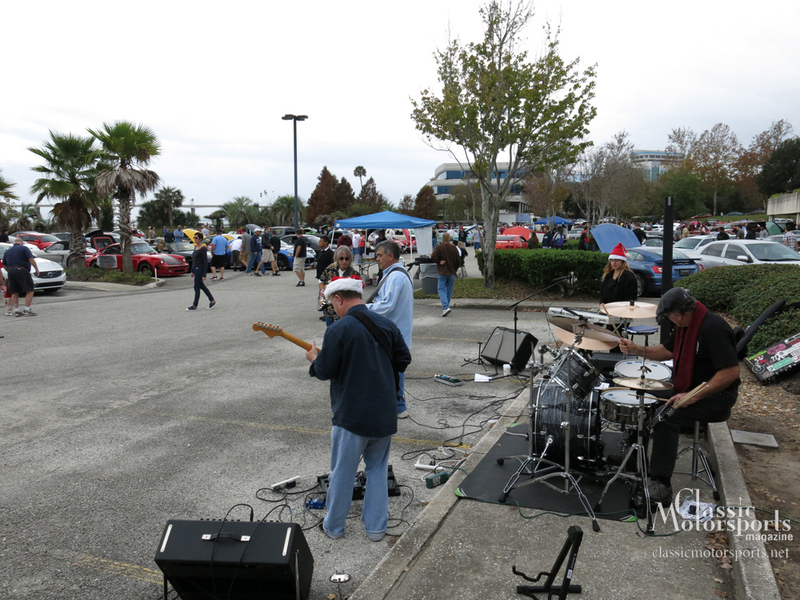 We started that day with a trip to Jacksonville, Florida, for the Automotive Addicts Cars & Coffee. We’d heard that it attracts a nice field, and when our friends’ surf band, the The Crowkeepers was tapped to provide some entertainment, we made the trip. The wagon cruised up there effortlessly. After the show, we crossed through Jacksonville for lunch. Then we drove back home—a little longer than an hour each way. As we pulled into the driveway, we smelled something sweet and heard that telltale hiss. Yep, blown coolant hose. 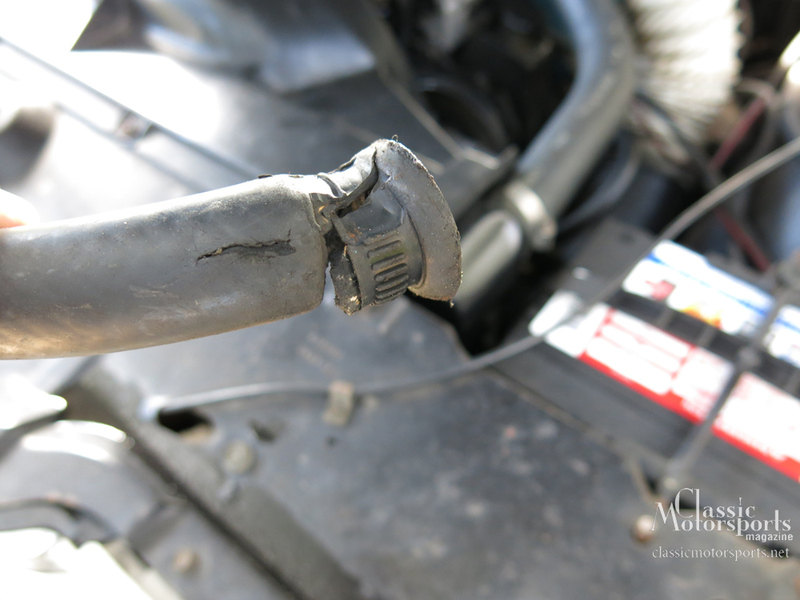 The foot-long hose that connects the block to the heater core burst. The replacement cost us only a buck or so, though, and didn’t even take long to replace. Soon after we got the car running, we again smelled coolant and were met with a puddle. This time, the water pump went. While the car was down, we also replaced a brake master cylinder that was going soft. Despite the minor setbacks, the car still continues to turn heads. By the way, this weekend is the Rolex 24 At Daytona. To see the wagon in person, cruise by our infield compound. The whole gang will be there.